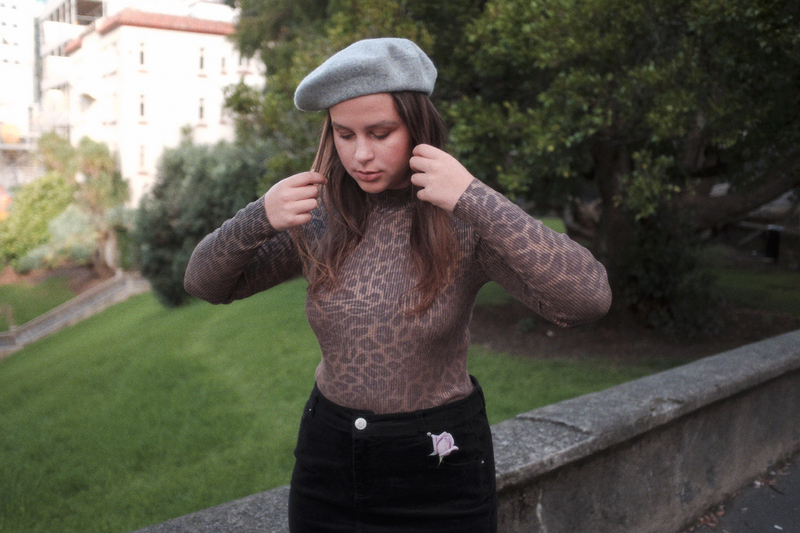 Photo Diary: Glassons - April x Berets. As we head into the Winter months, what better to start accessorising with than a beret? Glassons have got you covered, and we’ve put together a look with some of their rad new animal-prints too. Lola wears: Corduroy Mini Skirt in Black, Leopard Rib Knit Top, Animal Cacoon Coat, Wool Beret in Grey Marle - all Glassons. The classic Beret has been worn over the years by a number of our faves, including Zooey Deschanel, Jenny Lewis, Faye Dunaway (she wore one in her role in ‘Bonnie & Clyde’, and even Brigitte Bardot back in the ‘50s and ’60s. FashionGet the look: Glassons x Dua Lipa. FashionWin: a $100 Glassons voucher. FashionPhoto Diary: Glassons - May x Girl-Gang Jackets. FashionGet the look: Glassons x Rihanna. FashionGet the look: Glassons x Hayley Williams. Adventures DiaryPhoto Diary: Jamie Curry x Los Angeles #2. FashionWhat to wear to Laneway Festival next week! FashionGet the look: Glassons x Celestial Styles.